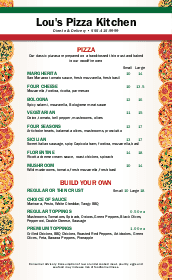 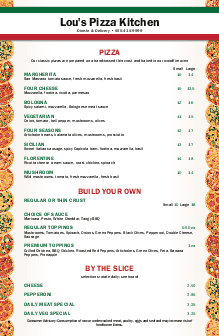 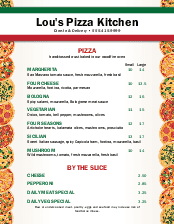 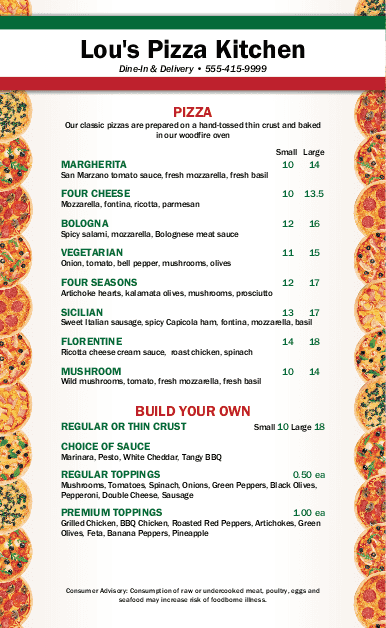 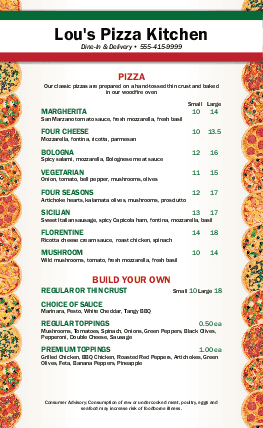 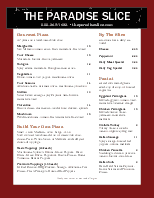 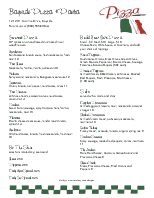 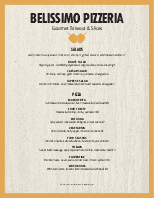 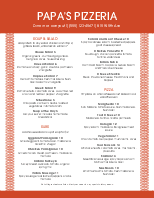 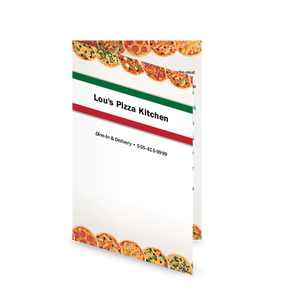 The City Pizza Menu template is bordered with hot, cheesy pizza photos with various toppings. 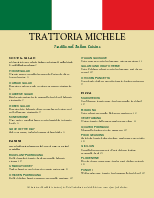 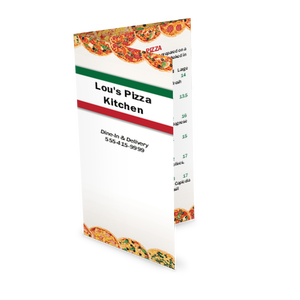 The restaurant name is framed by the Italian flag colors for a festive pizzeria design. 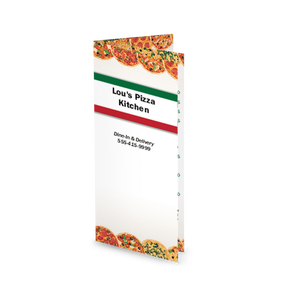 Select paper size and customize with your pizza items and photos.